Harvard Medical School (HMS) says it will use a $200 million gift from the Blavatnik Family Foundation to develop new drugs and diagnostics, create a new data science core facility, and provide collaborative workspaces for biotech and life sciences startups founded by Harvard students, alumni, postdocs, and faculty. HMS says the gift—the largest in the school’s 236-year history—will fund key priorities that include applying data to diagnose and treat disease; translating basic science into new therapies; supporting Harvard-wide collaborative discovery; and recruiting data scientists, computational biologists, bioengineers, and other experts. “It has long been my goal to support innovative, breakthrough scientific research and to expedite the translation of scientific discovery into treatments and cures,” stated Len Blavatnik, a global industrialist and philanthropist who graduated from Harvard Business School with an MBA in 1989. He is founder and chairman of Access Industries, a privately held U.S. industrial group with global strategic interests in natural resources and chemicals, media and telecommunications, venture capital, and real estate. 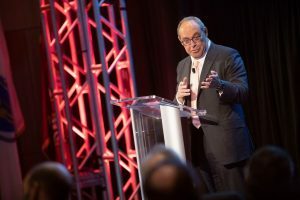 “Harvard Medical School, with its unparalleled history of scientific achievement, creativity, and science entrepreneurship, is the ideal partner to further this dream,” Blavatnik added in a message read by his brother Alex Blavatnik, Access’ vice chairman and EVP, yesterday at a special symposium at which the $200 million gift was announced. He said Len could not attend the symposium, which was held at HMS and attracted an estimated 800 guests, since he had recently been treated for appendicitis in London and was unable to travel. ​Boost the imaging and visualization capabilities of the Harvard Cryo-Electron Microscopy Center for Structural Biology. HMS plans to create a new data science core facility that will enable the conceptualization, design, and development of new computational and AI tools and technologies for use by researchers across the Harvard life sciences community. The school said the facility will help it harness advances in AI, machine learning (ML), and augmented reality (AR) to help scientists generate richer insights into phenomena ranging from the behavior of rogue cells in cancer development, to improved diagnosis for diseases. The school plans to step up recruiting of bioengineers, physicists, quantitative analysts, and computational biologists, with specialized expertise that includes harnessing new data-rich technologies, advancing biological research, building and managing new core technology facilities, and training fellow scientists. HMS said the Blavatnik gift will also fund cross-disciplinary partnerships among researchers based on its campus and at its 15 affiliated teaching hospitals and research institutions, as well as accelerate interdepartmental and cross-institutional research partnerships. Another purpose for the gift, according to HMS, is establishing collaborative workspaces for early-stage, high-potential biotech and life sciences start-ups founded by Harvard students, alumni, postdoctoral scholars and faculty. The workspaces will be created within the new Blavatnik Harvard Life Lab Longwood, to be situated on the HMS campus within the Longwood Medical Area. The facility will also be designed to foster collaborations with biotech industry experts, academics, and investors, HMS said, by offering business building, industry-specific programming, and expert advisors and mentors. Blavatnik Harvard Life Lab Longwood will be part of Harvard Innovation Labs, a network of entrepreneurship support programs for full-time degree-seeking Harvard students, eligible alumni- or faculty-led ventures. The network includes Pagliuca Harvard Life Lab, a 15,000-square-foot wet laboratory at Harvard’s Allston campus that features co-working space for biotech and life science start-ups founded by Harvard students, alumni, faculty, and postdocs. HMS is also naming new Blavatnik Institute at Harvard Medical School after the family. It is an umbrella research organization that will encompass the school’s 10 basic science and social science departments. Blavatnik made the gift through his family’s foundation, a 501(c)(3) private foundation that over its history has contributed more than $700 million to hundreds of scientific, educational, cultural, and other charitable institutions. The Blavatnik Family Foundation spearheads the Blavatnik Awards for Young Scientists, designed to honor both past accomplishments and future promise of the most talented scientific and engineering researchers aged 42 years and younger at America’s top academic and research institutions. The Foundation’s first gift to HMS in 2007 established the Biomedical Accelerator Fund, followed in 2013 by a $50-million gift that created the Blavatnik Biomedical Accelerator at Harvard University and the Blavatnik Fellowship in Life Science Entrepreneurship at Harvard Business School. 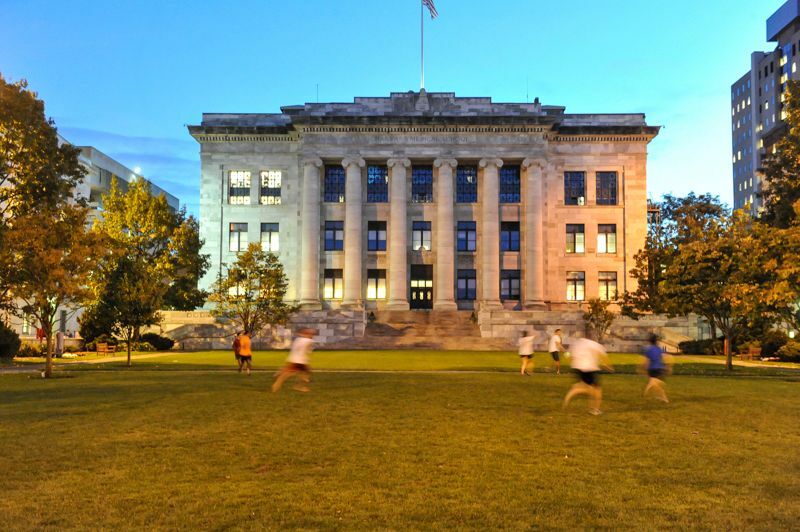 “We are deeply grateful to the Blavatnik Family Foundation—and Len Blavatnik in particular—for the resounding vote of confidence in Harvard Medical School,” Harvard University President Lawrence Bacow added.